Joe E. Brown will always be remembered for his performance as Osgood Fielding III in Billy Wilder's classic comedy Some Like It Hot in 1959. 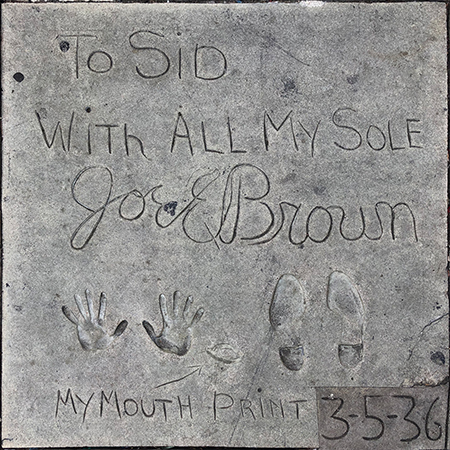 But Brown had been a big movie star in the early sound era, and one of the most popular comics and performers of his era. In later life, Brown always told people that his parents encouraged young Joe to run away to the circus, which he did at age ten, joining a troupe of tumblers known as the Five Marvelous Ashtons. A gifted baseball player, Brown turned down a chance with the New York Yankees to follow his path in showbiz. By 1920, he had made his Broadway debut in Jim Jam Jems. An incredibly agile and energetic performer, Brown's appearances in vaudeville and in Broadway shows must have attracted talent scouts looking for people who could speak in the new-fangled talking pictures. Brown and Perqueta Courtney filmed their comedy skit from the Broadway revue Twinkle, Twinkle (released in April, 1927) for Warner Bros., which lead to Brown relocating to Los Angeles, where he did some supporting roles in circus-oriented films. His first co-starring role was opposite Belle Bennett in Molly and Me, (released in March, 1929). Brown was asked to appear in the Warner Bros. musical / revue film On with the Show! (released in July, 1929), and did so well that Warners' headlined Brown in Top Speed (released in August, 1930). Other films in which Brown was top billed include Broadminded (released in August, 1931), Local Boy Makes Good (released in November, 1931), Fireman, Save My Child (released in February, 1932), the first of his "baseball" trilogy, The Tenderfoot (released in May, 1923), You Said a Mouthful (December, 1932), Elmer the Great (released in April, 1933), the second "baseball" trilogy film, Son of a Sailor (released in December, 1933), A Very Honorable Guy (released in May, 1934), The Circus Clown (released in June, 1934), 6 Day Bike Rider (released in October, 1934), Alibi Ike (released in June, 1935) the thrid "baseball" triolgy film, and Bright Lights (released in July, 1935). That's a lotta films! By the late 1930s, Brown became active in supporting refugee German Jewish children, adopting two girls into his own family. He worked tirelessly at the Hollywood Canteen during World War II. By the time of Pin-Up Girl (which played the Chinese in May, 1944), Brown was playing supporting roles again. Brown scored a huge impression playing Cap'n Andy in the Technicolor remake of Show Boat (released in September, 1951). Many appearances on television followed, including The Buick Circus Hour (1952), Schlitz Playhouse (1955), and the General Electric Theatre (1956). He was a radio announcer for the New York Yankees during the 1953 season. 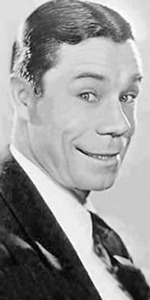 But Joe E. Brown's daffy affability fit the character of Osgood Fielding III in Some Like It Hot (which played the Chinese in April, 1959) like a glove. His reading of the film's curtain line, "Nobody's perfect!" has become legendary. Brown suffered heart problems and suffered a heart attack in 1968, eventually dying from arteriosclerosis in 1973. He was just short of his 82nd birthday. Grauman's Chinese Theatre, Hollywood, California. Joe E. Brown Forecourt ceremony, Thursday, March 5, 1936. 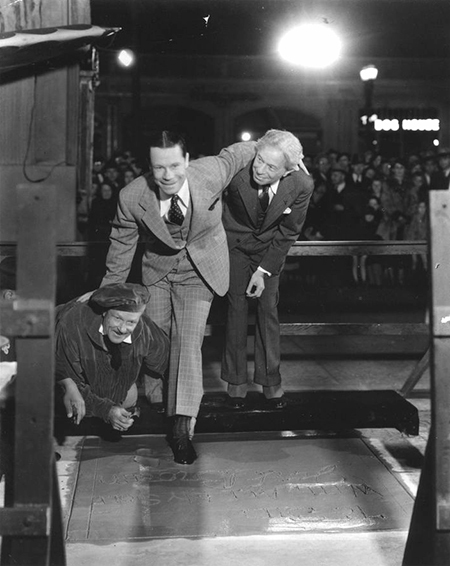 Joe E. Brown is assisted in making his footprints by cement artist Jean Klossner and Sid Grauman.